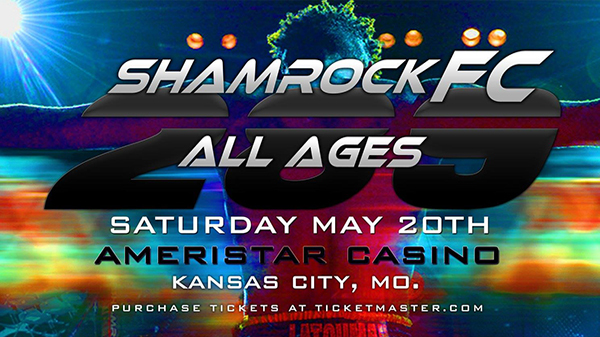 When Shamrock FC returns to Kansas City on May 20, a new welterweight champion will be crowned. Since joining Shamrock FC in the fall of 2014, "Vicious" Bobby Voelker has been unstoppable winning five straight fights. With a only minor scare against Raymond Gray, the Caveman Crew's top pro notched victories over Kyle Kurtz, Justin Guthrie, and Mike Estus to name a few. Voelker is not one to shy away against a challenge, having taken a short notice fight against former UFC welterweight champ Robbie Lalwer on only a couple weeks notice. A high profile win and Shamrock FC gold is hoping to be the start of one more run for the veteran, who turns 38 on April 26th. Voelker has been on a mission to return to the big leagues ever since his departure from the UFC in the summer of 2014. The definition of the word "game", Voelker seems to rise to the occasion and should be considered the favorite based simply on his wealth of experience in over 40 professional fights. Zak Bucia punched his ticket for the No. 1 contender's match last December at Shamrock FC 280 when he scored a first round TKO over top regional prospect Adam Meredith. Bucia out of Lawrence, KS is 15-8 with key wins over Robert Washington, Hugh Pulley, Jose Landi-Johns and has high profile fights on Victory FC, Titan FC, and Strikeforce to name a few. The purple belt in jiu-jitsu has has a nasty submission arsenal with several rear naked choke victories to his credit. As always is the case when facing Voelker, the need is to put him away early or be ready for a long night. Whoever wins the Shamrock FC welterweight tittle will be given a 3-fight Bellator MMA contract, joining Rebecca Ruth, Jordan Howard, Rudy Bears, and Bobby Brents. Bears and Ruth were able to parlay their opportunities into main card TV bouts with Bears taking one of Bellator's top prospects Michael "Venom" Page. The big boys will battle at SFC 289 when Kirk "Big Country" Grinlinton takes on Jaquis Williams in a heavyweight match-up. Williams has fought for RFA and Victory FC in the past. Both fighters will be making their Shamrock FC debuts. Don't expect any fancy ground work from these two as it should be a quick night for someone. Win or lose Grinlinton has never been outside the first round in fifteen fights dating back to his amateur run. Hoping to rebound from a December loss to Matt Uhde, Anthony Garrett looks to grab his second win as a pro when he takes on Bo "Bad News" Kunz out of St. Louis, MO. Kansas City fight fans will remember Kunz's exciting KO of Kevin Woltkamp in the fall of 2015. The veteran slugger Kunz likes to brawl and only knows one direction: forward. In addition to having a sizeable height and reach advantage, give the nod to Garrett also on the ground as he chalked up a handful of submissions as an amateur, something we haven't seen much of as a pro. Garrett KO'd opponent Justin Grant in just under two minutes in his pro debut. Featherweight Joe Canfield will be making his professional debut when he faces Darius Lando. Lando took one of Shamrock FC's top prospects, Steven Nguyen, to a decision when the two were amateurs and won't be an easy out for the incredibly fit Canfield who will be making the jump to the pros at age 36. .
Rounding out the main card is an intriguing amateur match-up between Travis Sumler and Steven Coleman. Coleman will hope to offer a repeat performance of his teammate Eric Ellington, who defeated Sumler in his last trip to the cage. In preliminary action, lightweight Brandon Santana will face Trevor Johnson, and adding a little variety to the mix, Mike Hughes and Terrance Carter will battle in an amateur kickboxing bout. 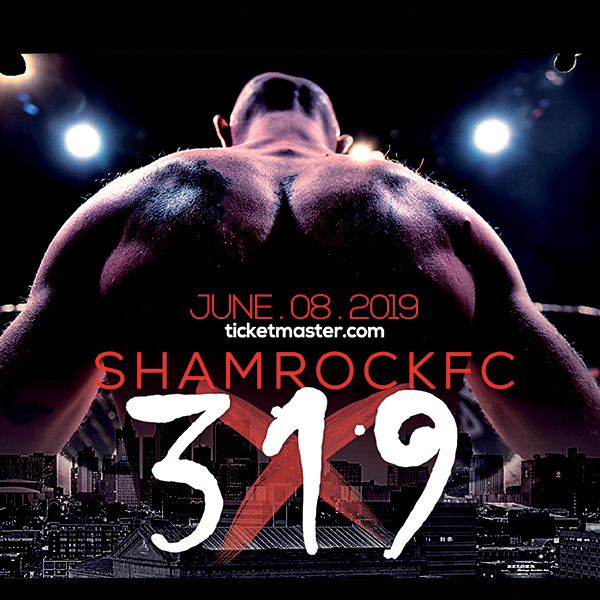 As always, tickets are available at the Shamrock FC store, or you can watch along live on PPV as well.